Available in 20, 24, 30, 36 and 48 inch sizes, the Elive LED Track Lights provide 120° light dispersion for full coverage and uniform lighting in your aquarium. 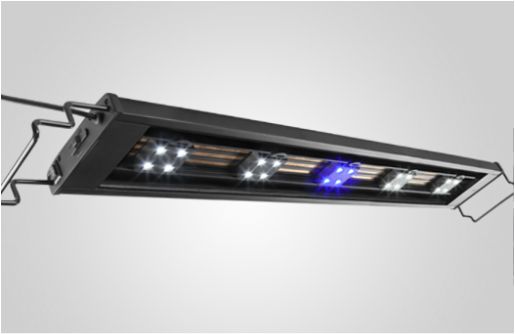 Elive LED Track Lights have a unique lighting system with Easy Change™ LED modular PODS that allow you to quickly and easily add and remove LEDs to achieve your desired light intensity, color, and pattern. The blue LED channel dimmer allows you to control blue light output and change color temperature.